At All-Weather Seal Co., Inc., we are the exterior home improvement specialists trusted by residents in communities throughout Michigan. Since our founding in 1981, we have provided homeowners with the ideal combination of durable products, superior workmanship, and exceptional customer service. We are one of the longest standing home improvement companies in the region, and that’s no accident. From our lineup of gorgeous windows to our long-lasting metal roofing systems, we offer some the most energy-efficient products on the market. 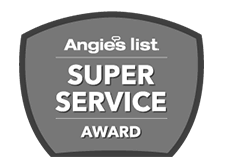 Add to that the skill and experience of our installers, all of whom are our dedicated employees, and you’ll understand why we have been recognized multiple times as one of the industry’s leading contractors. Furthermore, we don’t believe in sacrificing quality for efficiency, so you won’t see us boasting about completing a job in as little as a day. We take our time to ensure every job is completed to the highest standards. This precise and thorough service is further exemplified by the supervision of an experienced installation manager, who oversees every step of the process and provides a quality check when the job is complete. Additionally, we’ll follow up with you after the installation to make sure you are wholly satisfied. That’s the benefit of working with an industry-leading contractor. When you want flawless installation of home improvement products built for years of high performance, let All-Weather Seal be your only choice. 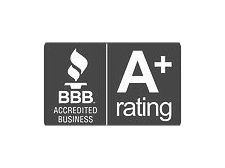 We are so confident in the quality of our installations that we offer lifetime labor warranties on our windows, siding, and doors. Available in a wide range of styles to suit your needs and aesthetic preferences, our durable replacement windows feature numerous customization options that will help you create a wonderful design statement. Weatherproof your home while enhancing its look with siding. You’ll be able to choose from several appealing styles, such as Dutch lap board or scallops, as well as a full complement of lovely colors. Built to last for decades, our durable metal roofing systems can increase your home’s value while providing beauty and superior protection. What’s more, they come with lifetime warranties. Our well-engineered patio, storm, and entry doors blend energy efficiency with remarkable durability. With low-maintenance fiberglass and sturdy steel options, we have the perfect door for you. Improve your home’s thermal efficiency and save money on heating and cooling costs with our professional attic insulation service. Then, sit back and enjoy a more comfortable home. We offer energy-efficient products built for longevity and exceptional performance. 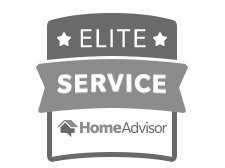 Our installers are our own trusted employees, allowing us to ensure superior workmanship and customer service. We are one of the most experienced home improvement contractors serving Michigan.